The term “asbestos” raises serious concerns and dealing with those concerns thoroughly and quickly is one of our specialties. For more than 20 years, Executive Environmental has provided asbestos consulting services to schools and businesses in the State of California. Our staff of 5 Certified Asbestos Consultants and Techs have handled projects of all shapes and sizes – from the simple evaluation to post-abatement contaminations. Whether you have a small, one-room abatement project or a site-wide abatement project, Executive Environmental’s staff can assist you in the development and oversight of the project. Prior to the start of your project, our Project Manager will develop a scope-of-work to manage every aspect of the abatement project. Upon the initial start of the project, the Project Manager and assigned team will ensure that all containment facilities are constructed in an appropriate manner to ensure that the project will run smoothly and without adverse liability. Once the project begins, the Project Team will be on site to ensure that protocols are being followed to ensure a successful abatement outcome. Upon completeion of the abatement project, our Project Team will conduct a clearance sample and visual inspection to ensure that all aspects of the project were completed. 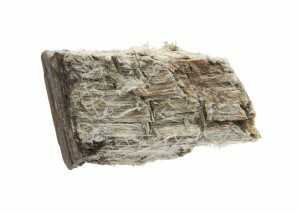 Selecting a service provider for asbestos abatement work can be a difficult challenge. You want to ensure that you get what you pay for and that means “no more asbestos”. Our Certified Asbestos Consultants (CAC) have the experience and knowledge to write your scope-of-work and bidding requirements. Getting the right service provider means that your bid specs are accurate and thorough. Our Team has written thousands of bid specs to help our clients get the job done right. © 2018 Executive Environmental · Proudly powered by EESC & Executive Version II by WBP.